When people are forced to flee or migrate, their livelihood sources become turbulent and fragmented. 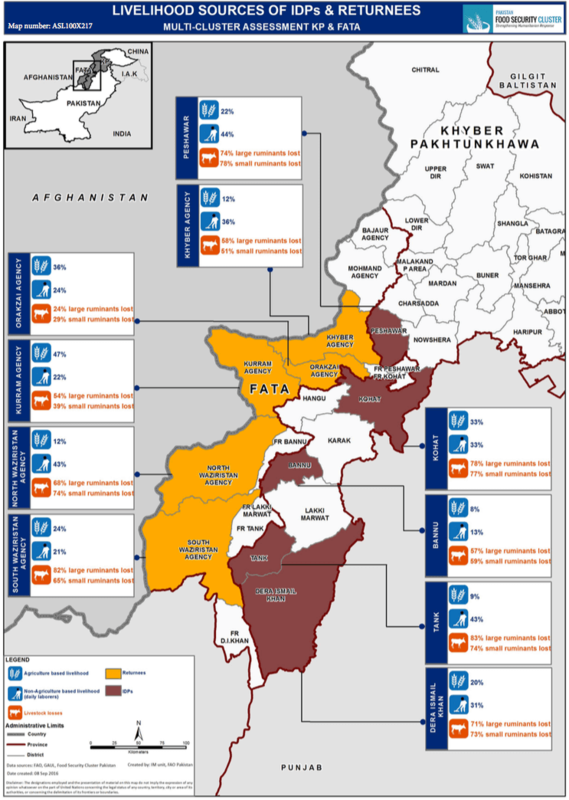 Having accurate information on coping strategies allows humanitarian food security interventions to be planned more effectively. 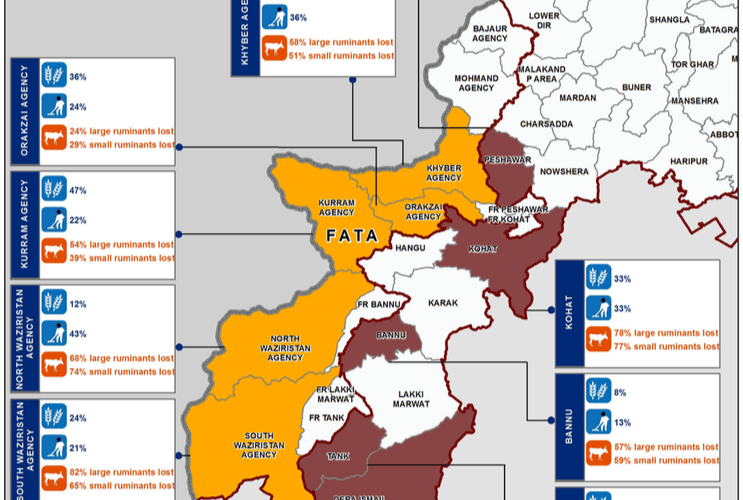 Using data from surveys conducted by UNOCHA’s Food Security Cluster (Pakistan) and the Food and Agricultural Organization (FAO), as well as spatial GIS, this useful map depicts the livelihood sources of internally displaced people (IDPs) and returnees in Pakistan’s Federally Administered Tribal Areas (FATA). Our Pakistan-based designer Mehwish holds significant experience in providing IT services, infographics, cartography and GIS analysis to the humanitarian sector. To date, she has managed information and GIS analysis for UNOCHA, the FAO and the Asian Disaster Preparedness Center.